Within OnSign’s App Library (How to Add Apps), you will find the category "Text and Scrollers". These are ideal for writing short notes, news, official communications and events promotions while displaying other media. Simple and intuitive, you will find your way around easily when creating these apps. This App is perfect for full size use, but it is highly adaptable to any screen area. Just remember checking the “Auto-fit text size” box, so that the whole content is adjusted to the new area. Always preview the App and test the campaign on a single device before launching it to your whole digital signage operation. 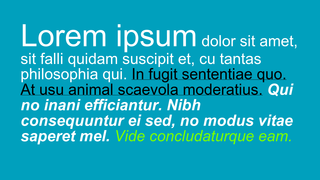 Vertical and horizontal Text Ticker: Sentences roll across the screen with this App, available in both horizontal and vertical orientation. To separate lines of text, just begin a new line in the text editor in the "Customize App" settings. You can also opt to "Animate text transition" which means fading transitions. The speed of animation is adjustable. Keep the size of your screen in mind when using the fade animation. The longer the sentence, the smaller the font. Note: Capslock is the only text format available for the vertical text ticker. 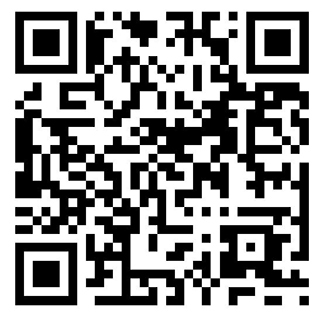 QRcode: Invite your audience to discover more information on their mobile, right from your screen! QRcodes make calls to action much more effective by directing users straight to a website URL. Using this powerful feature is quite easy. You just need to paste the URL or message you want to display into the app settings. The text category comprises more Apps not covered in this section. Learn about Directory Lists (for tables, schedules and soccer scores) here.